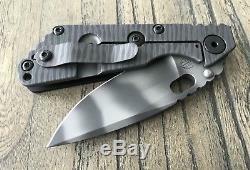 The new thick blade SnG's have a blade stock of. 190 inch versus the standard. 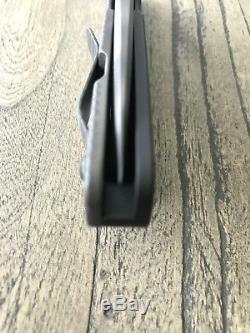 The width of the knife is still about the same (same as a Concealed Carry frame) by slightly adjusting the frame pieces. 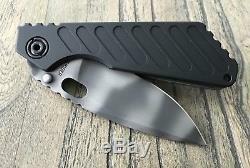 The SnG is Strider Knives most popular folder. 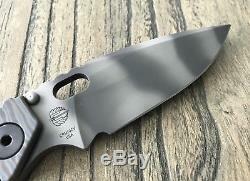 Great size for every day carry, but big and strong enough when you need a serious knife. This is the classic "flat" or "lego" frame profile for maximum surface area and grip. This variation features an aluminum presentation side with fuller grooves, harking back to the classic aluminum framed Strider folders with similar design. This makes for some added grip and killer looks. Custom oversized stainless steel bull pivot. One piece presentation side frame with integrated backspacer for extreme rigidity, with lock side screws bolting straight in for superior strength. 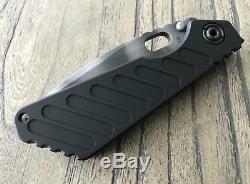 Hinderer lockbar stabilizer to insure linear movement of lock bar and prevent over springing. 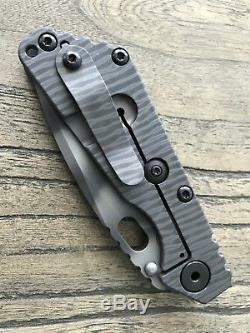 Stout and secure titanium pocket clip. 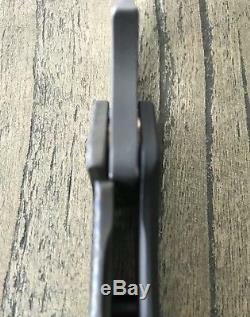 Stud on blade is not intended to be used as opener but rather to contact titanium frame in open position as blade stop. 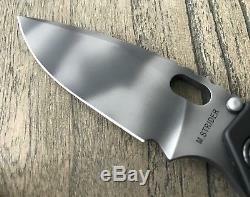 The Blade: Sleek, dagger type profile with large upper swedge grind. The blade has a tiger stripe finish. The Frame: Standard profile with aluminum presentation side frame with fuller grooves, matte black hard anodized finish, and titanium lock side with hand flamed finish. 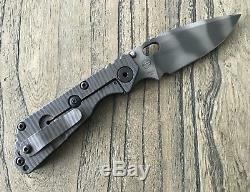 Blade Length: 3.375 in. Cutting Edge Length: 2.75 in. 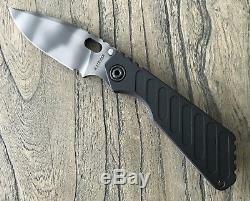 The item "Strider Knives SNG Thick Dagger Grind Tiger Stripe CPM 20CV Blade" is in sale since Saturday, September 15, 2018. This item is in the category "Collectibles\Knives, Swords & Blades\Collectible Folding Knives\Modern Folding Knives\Custom & Handmade". The seller is "shamusx1" and is located in Frisco, Texas. This item can be shipped to United States.